in the prepared gratin dish. In a blender, puree the half-and-half, eggs, flour, granulated sugar and a generous pinch of salt until smooth. Pour the batter over the cherries, then scatter the cubed butter on top. Bake the clafoutis for about 35 minutes, until puffed and a toothpick inserted in the center comes out clean. In a large bowl, using a hand mixer, beat the heavy cream, malt powder, confectioners’ sugar, vanilla and 1/4 teaspoon of salt until stiff peaks form. 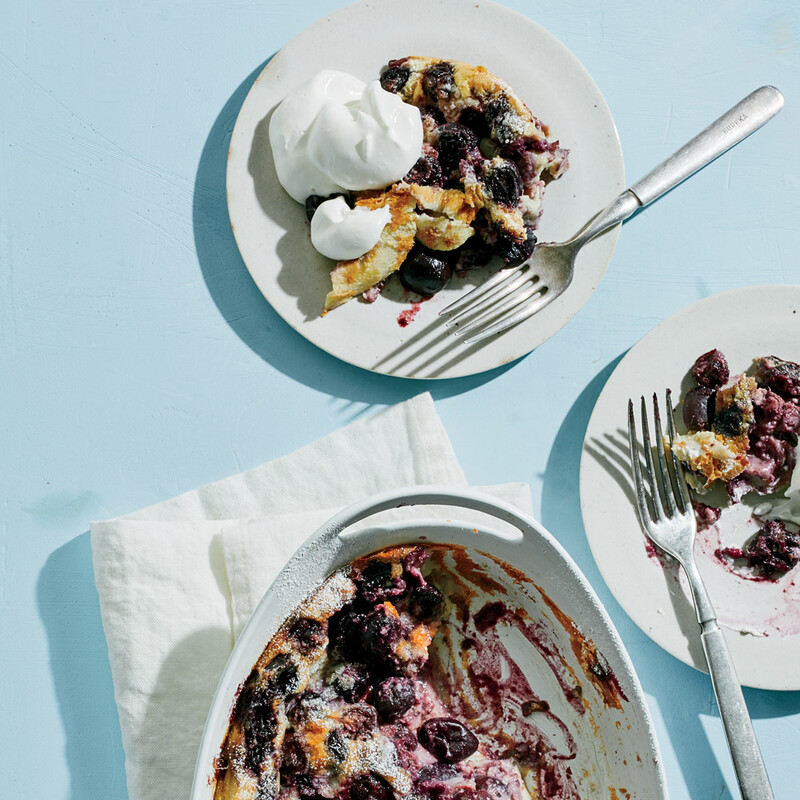 Serve the clafoutis warm or at room temperature with the malted whipped cream.